Our administration team is made up of teachers, physiologists and business professionals. It is this unique blend that gives VonKids the reputation for being Calgary’s premium early learning and childcare establishments. To find out more about our Administration professionals and their backgrounds, please click on their bio's below. Michelle is the Chief Operating Officer for Vonkids and is responsible for the overall operations of the company, overseeing finance, business development and the opening of new centers. 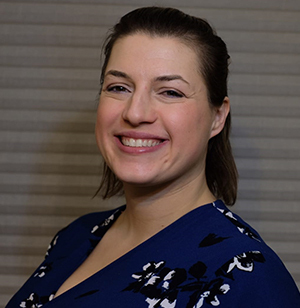 Her educational background from MRU includes Psychology and Linguistics, during her professional career, she has had a focus on developing her financial and business acumen. 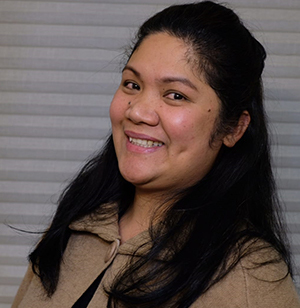 Michelle joined Vonkids in 2018 and brings with her a background in finance, HR and business operations. She has a strong passion in helping kids in becoming the best they can be. 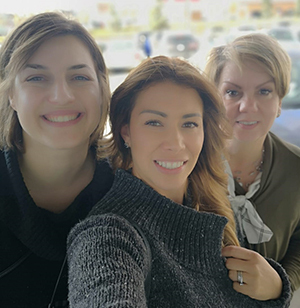 When she is not at work with Vonkids, you will find her spending time with her family, and as an active education & management leader/volunteer who is dedicated to the success of our communities and the people living in them. "Vonkids has come to have a very special soft spot in my heart. 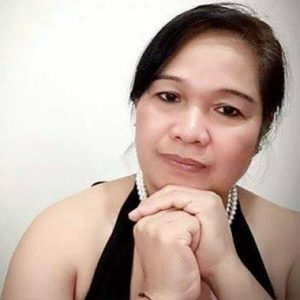 This professional child care company is a wonderful fit for all the things I am passionate about in life; children, education and business management". 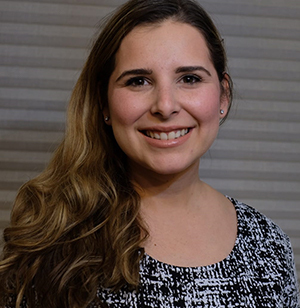 Originally from Monterrey Mexico, where she did her Psychology degree with a specialty in Early Childhood. Since then she has lived in Spain, United States, New Zealand and Canada, which has taught her educational keys from each culture. 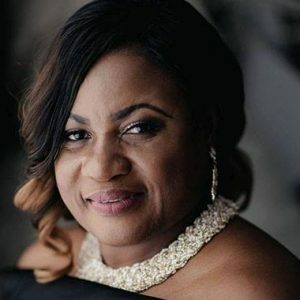 She also previously owned a Kindergarten, where she developed a special curriculum that focused on the development areas of children from 2-6 years old. She moved to Calgary with her husband on August 2012, and started work with VonKids mid 2016. She appreciates that all the caregivers are loving and look for the best interest in the children at VonKids. She loves VonKids because it provides a safe and happy environment for the kids. Her hobbies, includes spending time with her family, travelling and exploring Canada. 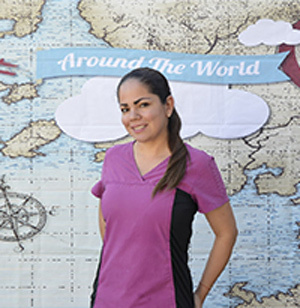 Dulce has a bachelor’s degree in business administration, which she obtained in her native Mexico. That’s where her career in sales and marketing began. Upon moving to Canada she started her own family and is a mom to a toddler boy named Patryk, who keeps her hands full when not working. But most importantly being a mom makes her intimately familiar with early childhood education and all its joys and challenges and makes her a firm believer in the philosophy employed at VonKids. Dulce is also a fitness enthusiast, a certified Zumba instructor, and loves Latin dances. She is fluent in Spanish and English and is actively teaching her son and husband Spanish so that they can have a truly bilingual family. Brandi is an active Calgarian who volunteers with the Alberta Gymnastics Federation. 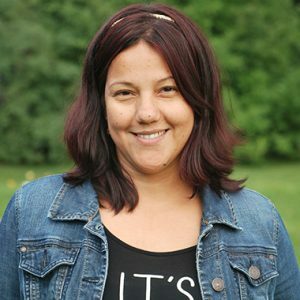 Prior to joining VonKids, Brandi had a successful career as a dayhome director in in the Calgary area where she distinguished herself as a trainer with innovative analysis and restructuring of childhood physical activities. Brandi's duties include administration with Vonkids. She is our scheduling guru and prides herself on finding creative ways to making the Vonkids programs the best that they can be. 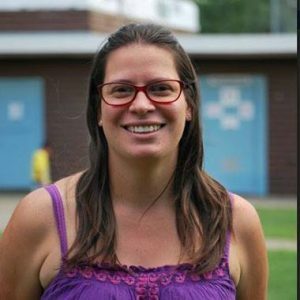 She continues to work with children as a coach for the Gymtastic North Gymnastics Club and Brandi also sits as a board member for the Alberta Gymnastics Federation. She brings her healthy, active lifestyle to work at our day homes with her innovative exercise programs as she visits each home every month. 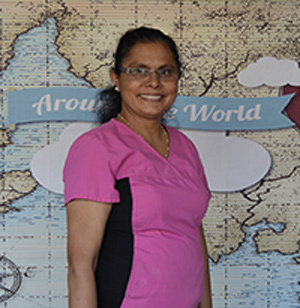 Our Directors / Caregivers come from many parts of the world and bring with them a unique global experience to each of our dayhomes. Every director has prior childcare experience and have been vetted by our VonKids admin team for truly being loving, caring and motivating people. Our directors strongly believe in the VonKids’ mission statement, core values and are there to help each child grow and excel. This biography is not available at this time but please check back as we will be updating this section in the near future. Mary is originally from Venezuela. She has two boys, 12 years old and 2 ½ years old. 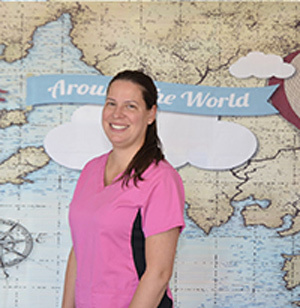 Mary graduated from medical school as a Surgeon, with a specialty in Occupational Health. She practiced medicine for 12 years before coming to Canada. 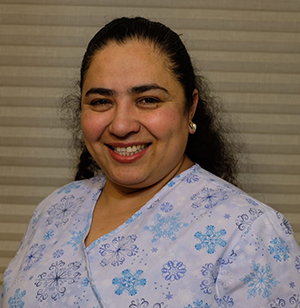 Mary is dynamic, proactive, innovative, and versatile and likes to have everything in order and clean. She especially enjoys reading, movies, traveling and has a major love of Swiss chocolate ice cream with brownie. Karem is originally from Venezuela. She is fluent in both Spanish and English. When she completed high school, she decided to enter into university and take dentistry. 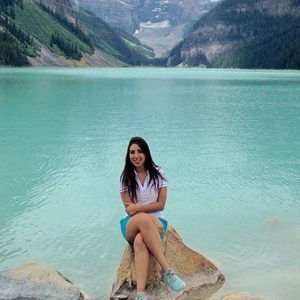 Karem has a lot of fun taking photographs, enjoying nature, hiking, and all types of ice cream and sharing time with friends. She really likes Calgary and feels the city is very clean and safe. She loves how people are so friendly and of course she thinks the views of the mountains and the river are beautiful. Esperanza is from Colombia and is fluent in Spanish. She loves to go camping, hiking and feeling natures breeze on her face while rolling out of a sleeping bag and hearing her kid’s laughter. 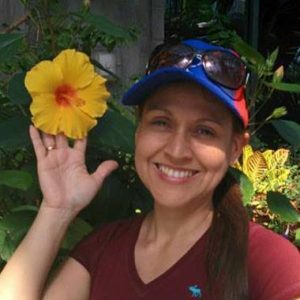 Esperanza has a certificate in social worker assistant and in Columbia she worked in her field and also with Kindergarten students she is a passion-ate, patient hard worker who offers a positive and energetic environment. In English her name means “hope”. 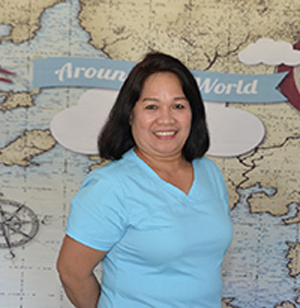 Hermie is originally from Tagum City, Philippines. She likes working at VonKids because she loves spending time with the kids, doing crafts, reading and teaching babies new things. She also enjoys cooking. Hermie speaks different languages, fluent English, bisaya, Tagalog and Arabic. She has a degree in Radio Communication and Childcare experience. Elsa is From Mexico City and she enjoys working out, swimming, hiking, reading and loves making kids happy by playing and dancing with them. Elsa speaks fluent Spanish and English. 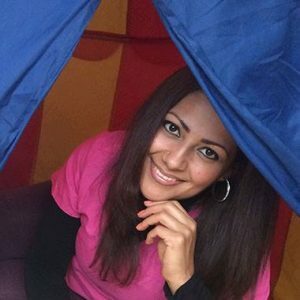 She earned a Communication and Journalism degree in Mexico City and has always enjoyed working with kids. She loves the landscapes, people, and weather of Canada. Her passion is working with children and helping them become great humans! Claudia is originally from Veracruz, Mexico. She likes to spend precious time out with her family enjoying all 4 seasons in the year and thinks Alberta is the best place to experience every type of weather. She loves spending her time with her two daughters, dancing, playing games, going to the park as long as they are spending time together. 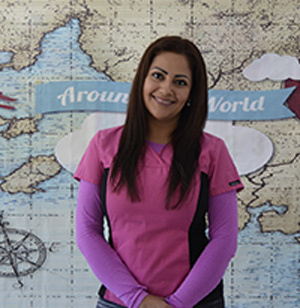 Claudia is originally from Veracruz, Mexico but is enjoying her time in Canada. One of her favorite things about Canada is the change of the seasons. She loves spending her time with her family dancing, going to the park and playing games. They also enjoy their time volunteering at the Salvation Army. 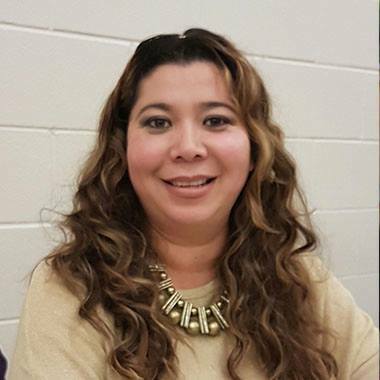 Claudia speaks fluent Spanish and English, has a Bachelor of Education Degree and Child Care Career Skills (Ashworth College) and holds a Child Care staff qualification Certificate, Child Development assistant. Lesly is from Guadalajara Mexico, has been a jazz dancer and a volleyball player since the age of ten. 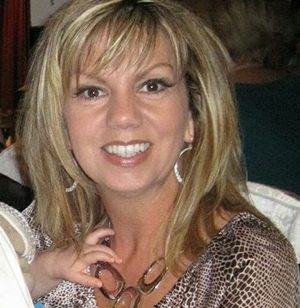 She enjoys playing with her sons, coloring, dancing and singing when she cooks. 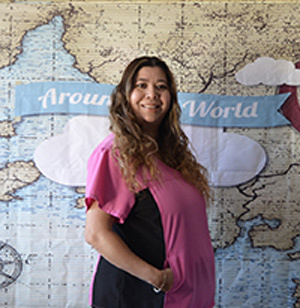 Lesly speaks fluent Spanish and English, she graduated for UNIVA University of Mexico in 2007 with a degree in “Nutrition” and also studied “Early Child Development Assistant” in 2012. She is passionate about children because she can learn a lot from them like how they enjoy the simplest things in life. They keep Lesly smiling every day and filled her with so much love. Lesly has been working for VonKids for 4 years. 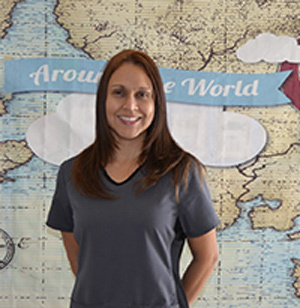 She believes it is an amazing company where she is able to work with many great families. 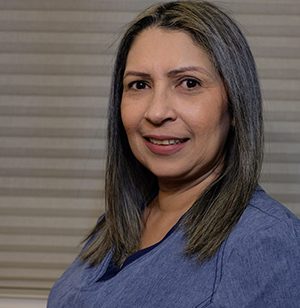 Gabriela is from Costa Rica and loves spending time with her daughter. She likes going for walks in the park, going to the movies, reading a good book, crochet and making sand castles. Gaby loves children and being a part of their growth and learning from them. She is fluent in Spanish and English and studied special needs, sign language and HCA. 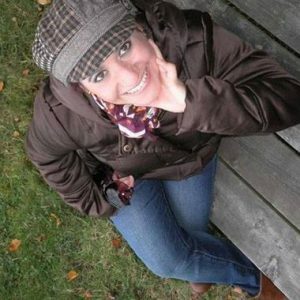 She believes that her biggest education comes from life experience as she has been working with kids for over 20 years. She has a high level of patience with immense love and compassion for children. A deep understanding of children’s need for social, physical and intellectual growth. 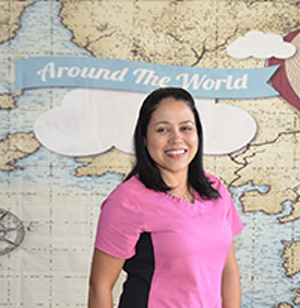 Mariana is from Aguascalientes, Mexico, She likes swimming, cooking, dancing, and hiking. 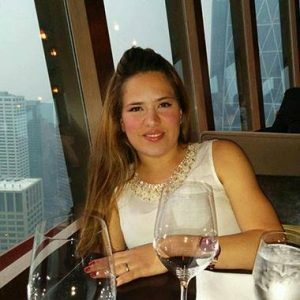 She is fluent in Spanish and English and attended The Autonomous University of Aguascalientes. After five years studying, she received a Bachelor’s degree as an English teacher. 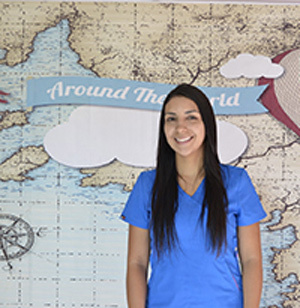 After graduating she started working in different schools where she had the opportunity to work with toddlers and preschoolers and found out how amazing it was. Living in Canada has allowed her to grow not only professionally but personally, it was also the place that she met her husband and they now have a 20-month-old son. 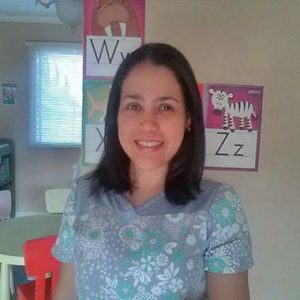 Mariana has a strong passion for working with children and now as a mom, realizes how important kids’ early years are. She is thankful for the opportunity to work in a nurturing, loving environment where children can learn and experience new challenges that will help build their confidence while they play. Margaret is from India. She likes playing badminton, volleyball, and cricket. During her time off she loves to swim or go for a bike ride. She loves watching Indian dramas and Bollywood movies. She speaks fluent Hindi and English and she has worked with VonKids as a Sub-Director for over 2 years. 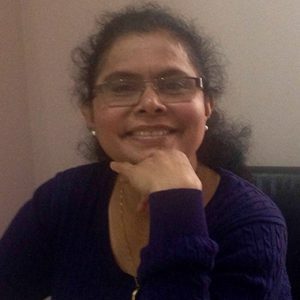 She received all of her education in India where she attended Mangalore University and graduated in 1985 with a Masters of Arts in Sociology. Margaret has worked with children as a teacher at elementary, high school, and university level. Throughout her life she has dedicated her time to taking care of children and has loved every minute of it. Being a mother of two girls has given her the essential skills to fulfill her duties as a childcare worker. 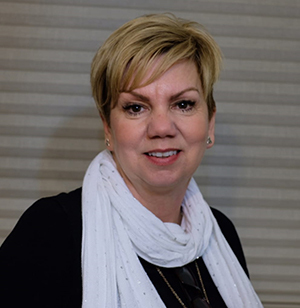 Margaret is dedicated to the social and emotional development of each child and makes it her goal to ensure that each child receives the best care and love that they deserve. 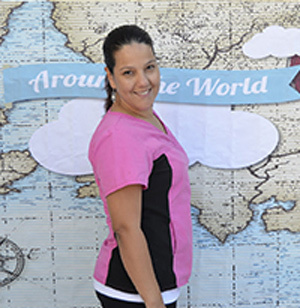 Karina is from Venezuela and loves spending time with her family, taking walks and exploring Parks. 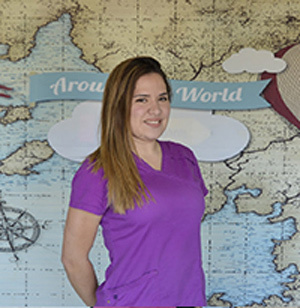 Karina has a degree in dentistry but since moving to Canada she has gone into childcare. Miss Madeleine is often complimented by those who meet her for her warmth and ability to make them feel instantly comfortable. 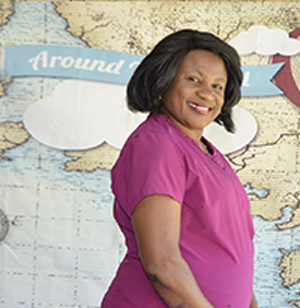 Madeleine moved from Congo with her then 5-year-old daughter and has lived in Canada for the past 17 years, 10 of which she has dedicated to training and filling various roles in the childcare industry. She has always been ferociously passionate about early childcare learning and the impact that it has on the lives of individuals; a passion that has only been heightened by the fact that she is a mother and now grandmother herself. She utilizes her fluency in French and strong ties to the French culture to run our French program at the grasshopper house. Her education coupled with her life experience has given her the ability to foster an environment that promotes, learning, growth, and confidence within each of the children at the grasshopper home. On her free time, Madeleine enjoys spending time with her family, socializing with friends, and volunteering at a local church. As briefly mentioned above, Madeleine recently had the joy of becoming a grandmother to a little girl named Zarah who also attends grasshopper. Edwinna has her Bachelor of Arts, Major in Economics. 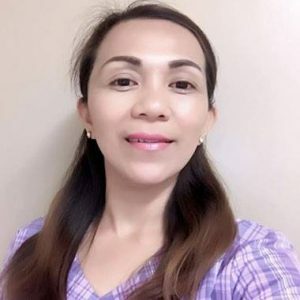 She is a Graduate from the Cagayan de Oror College PHINMA education network. 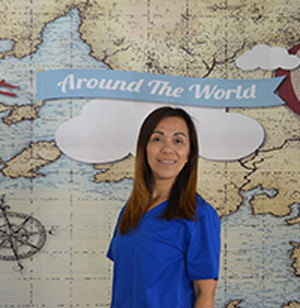 She has traveled the world as a Nanny and has worked in Hong Kong, Taiwan and then came to Canada. Upon coming to Canada, she moved to Edmonton where she lived in there for awhile as a Nanny. Edwinna then joined Vonkids and has loved her time working with the children. 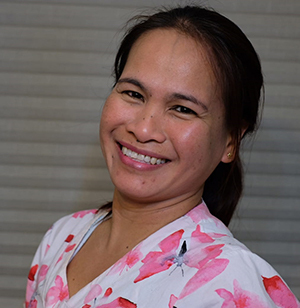 Edwinna enjoys the opportunity to help kids grow and learn new things, and believes that with patience and teamwork you can teach honesty, integrity and respect.